I was lucky enough to grow up in the STICKS of Orange County, Va and spent a lot of time exploring the woods, streams, ponds, etc around the area and to my parent's dismay, would build little forts in the "backyard" woods because I just liked being out there, ( aka...generally being weird...my mom would casually mention that it looked like homeless people lived in the woods behind our house). Stemming from that upbringing in "the sticks", I went to school for 6 years (4 undergrad, 2 for my masters) for environmental science because I believe that environmental conservation is worth giving a damn about (okay...also because science really, really neat). I interned for the Chesapeake Bay Foundation during the summers of 2007 and 2008 with the Oyster Restoration Program, and fell even more in love with environmental conservation work (and the awesome folks that dedicate their lives to it- Tommy Leggett and Jackie Shannon, I'm looking at you;-) ). I currently work for the Virginia Department of Environmental Quality- Water Protection Program. So anyway, the reason I mentioned those things about myself is to give you a little insight about what has inspired me and one of the reasons I think I'm on this earth. You may have also gathered that I also kinda like am head-over-heels IN LOVE with photography, particularly wedding and portrait photography. ;-) I got to thinking...I have this one dream I've been chasing for years and years, and another passion (*cringe* there it is again) that has already been there, but I've only recently begun to bring into fruition. I have no intentions of giving up on either, so I'm combining them. 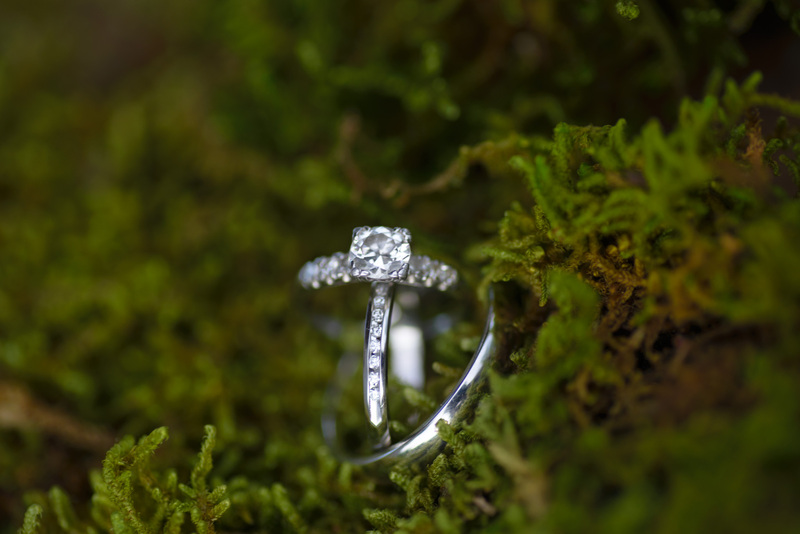 I also will be starting to narrow my focus on brides who are eager to incorporate environmentally responsible aspects into their wedding planning! I've started a little pinterest board with eco-friendly wedding ideas (and will continue to expand the board) and will be featuring eco-friendly wedding inspiration posts on the blog! For now, I'm offering a few extra little gifts to my brides who incorporate environmentally responsible aspects of their wedding day, whether it be encouraging guests to carpool, serving local produce, using locally grown flowers, "green" wedding favors/invitations, etc. I've also put a few ideas on my website! Okay, I promised I'd keep it (sorta) short and sweet for now, but the bottom line is that the "Something Borrowed, Something Green" idea makes my heart happy. Saving the environment makes my heart happy. Photographing and sharing in couples' love makes my heart happy. Combining two of my greatest loves makes my heart happy, and I think it will make others' hearts happy too. And isn't that why we are all here? To make a difference? To celebrate love? To inspire positive change? I think so, and that's why I think this is big news. Stay tuned guys-either way, if I fall flat on my face with my new idea, or I'm successful and can actually make a difference and unite an awesome group of like-minded clients/friends... I think it will be really neat to watch this unfold.